Production of a satellite imagery geo-database over the Tropics to address forest related issues, as expressed by the European Commission through the Joint Research Center (JRC) and by the UN_REDD initiative, through the Food and Agriculture Organization (FAO). In spite of the importance of forests in the face of climate change, our knowledge of the state and changes of tropical forests over the last two decades remains surprisingly limited. TREES-3 project, and with the FAO's United Nations Collaborative Programme on Reducing Emissions from Deforestation and Forest Degradation in Developing Countries (UN-REDD) to have a joint action on the estimates of forests cover changes and degradation in the tropical forests of Latin America and South East Asia. 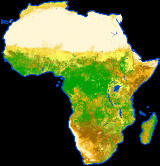 The project principal goal is to support the 2010 global forest assessment performed by the Joint Research Center (JRC) of the European Commission and by the Food and Agriculture Organization (FAO) of the United Nations, and by their national points of contact in the subject countries. The first objective of the project is to create an harmonized satellite imagery database covering the tropical Latin America (without Mexico) and the Tropical South and South East Asia (without China) over the years 2009-2010. 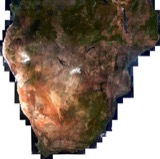 The TropForest geo- database consist of a collection of about 2,500 orthorectified images (DEIMOS-1, AVNIR-2 and KOMPSAT-2) over sample sites located at the degree confluences (i.e. with the centres of the tiles located at each 1deg x qdeg geographical lat/long intersection). This database will allow JRC and FAO to provide precise benchmarks on the state of the tropical forest extent, change and related carbon emissions. Prime contractor INFOTERRA Ltd, GEO-Information division of EADS Astrium Services.